Emanuel Swedenborg (1688–1772) was a Swedish mystic and medium who became renowned for his visions of and travels to the spiritual planes, where he saw the Afterlife OF SOULS of the dead. Swedenborg’s mystical experiences came late in life. Professionally, he was a scientist and a scholar. He worked as the special assessor to the Royal College of Mines under Charles XII. Other than holding a belief in the existence of the SOUL, Swedenborg gave little thought to spiritual matters. He was 56 in 1743 when he had his first vision of the spiritual world in a DREAM. He then began having a series of dreams, ecstatic visions, trances, and illuminations in which he visited heaven and hell, talked with Jesus and God, communicated with the spirits of the dead (he called them “angels”), and was shown the order and nature of the universe. These revelations were radically different from the teachings of the Christian Church. Swedenborg also began experiencing Clairvoyance of events on earth, perhaps in Out-of-Body Experiences, including a famous incident in 1759 in which he “saw” a great fire in Stockholm some 300 miles away. Swedenborg believed himself to be a divine messenger and began to disseminate his revelations to others. He quit his job and became a recluse and semi-vegetarian so that he could devote himself exclusively to his visions. He became an instrument of Automatic Writing for the angels. Sometimes his trances would go on for days, and his catatonic state would alarm his housekeeper. He learned how to induce trances rather than wait for them to happen spontaneously. In his otherworldly visits, he claimed to converse with some of the great figures of history, including Plato, Aristotle, and Napoleon and other historical luminaries. Many of Swedenborg’s peers believed he suddenly went insane. The church actively opposed him. For most, his writings were too advanced, and it was not until after his death that a Swedenborgian movement took hold. He died in 1772 at age 84 in London, where he spent many of his later years. Swedenborgianism along with mesmerism paved the way for the advent of Spiritualism in the mid- 19th century. Swedenborg said that God created man to exist simultaneously in the physical and spiritual worlds. The spiritual world is an inner domain that influences humankind, though most persons have lost their awareness of it. The inner world survives death with its own eternal memory of every thought, emotion and action accumulated over a lifetime. The memory influences the souls’ fate of heaven or hell. Swedenborg said that after death, souls enter an earth like transition plane where they are met by dead relatives and friends. After a period of self-evaluation, they choose their heaven or hell. The afterworlds are products of the mind created during life on earth; Swedenborg did not believe that Jesus’ crucifixion absolved the sins of humankind. Hell is frightening, with souls with monstrous faces (called “Demons”), but has no Satan. Heaven is a replication of earth with souls who are “angels.” In both spheres, souls carry on life with work, leisure, marriage, war and crime. Both spheres have societal structures and governments. It is possible for souls to advance in the afterlife, but never to leave heaven or hell, which are permanent states. Swedenborg did not believe in Reincarnation. Spiritualists adopted many of Swedenborg’s views but rejected his concept of hell and divided his heaven into seven spheres through which the soul passes after death. Swedenborgianism became a religion and is still practiced by a small number of followers around the world. The first churches were established in England in 1778 and in America in 1792. The Swedenborg Society was established in 1810 to publish and disseminate Swedenborg’s prolific works. His most widely read work is Heaven and Hell, which describes the afterlife. Swedenborg, Emanuel. Divine Love and Wisdom. New York: American Swedenborg Printing and Publishing Society, 1904. First published 1763. ———. Divine Providence. New York: The Swedenborg Foundation, 1972. First published 1764. ———. The Four Doctrines. New York: The Swedenborg Foundation, 1976. First published 1763. Scientist and mystic who traveled out of body to both heaven and Hell. Emanuel Swedenborg described in great detail the structure and hierarchy of the afterlife. He believed that people make the choice of either heaven or hell. Swedenborg wrote about his experiences, but his views were rejected by his contemporaries. After his death, his works influenced philosophers and theologians from the 19th century on. Swedenborg was born in Stockholm on January 29, 1688, the second son of the Lutheran bishop of Skara. The family name was then Swedberg; the father changed it to Swedenborg when they became part of the nobility in 1719. After graduation, Swedenborg traveled to the Netherlands, Germany, and England, where he met the astronomers Edmund Halley and John Flamsteed. By the time of his return to Sweden in 1716, his reputation called him to the attention of King Charles XII, who named him a special assessor to the Royal College of Mines. 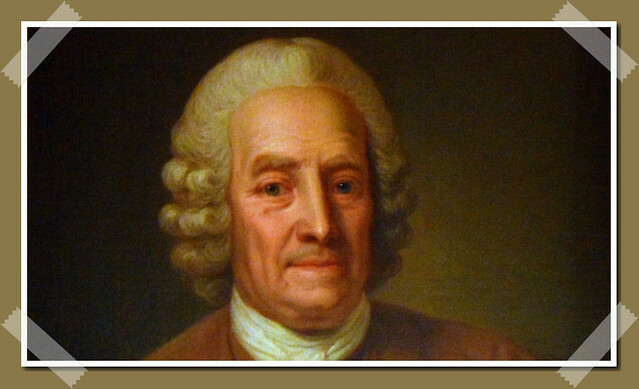 Fascinated by the mining industry, Swedenborg turned down the opportunity to teach at Uppsala. Swedenborg never married and devoted himself to work instead. He was a creative inventor, conceiving of a device to carry boats overland for a distance of 14 miles, submarine and air guns that could fire 60 or 70 rounds without reloading, and flying machines. In 1734–44, Swedenborg wrote various treatises on animals, mineralogy, geology, creation, and anatomy. In 1745, he published Worship and the Love of God, based on his visionary experiences, and turned his attention completely to the study of religion and God’s revelations. Swedenborg began having ecstatic visions in 1743. Up to that time, he had not given much thought to spiritual matters, although he had argued that the soul existed. Suddenly, he was overcome with revelations about heaven and hell, the work of Angels and spirits, the true meaning of Scripture, and the order of the universe. He was fully conscious during the visions and could remain in a trance for up to three days. During these times, his breathing would be severely slowed, and he would be insensible, but his mental activity remained sharp. He once likened his trances to what happens when a person dies and is resuscitated. He also had the unusual ability to remain for prolonged periods in the borderland state between sleep and wakefulness, either as he was going to sleep or as he was awakening. In this twilight state of consciousness, he was immersed in vivid images and voices. He called his visionary travels being “in the spirit,” and he clearly knew that he was out of his body. In 1744 and 1745, he had visions that had a profound effect on him and greatly opened his spiritual senses. He later was able to exist simultaneously in the material world and the spiritual realms. He quit his job as assessor in 1747 to devote himself fully to his visionary work. In his later years, he moved to England, and he died there at age 84. He is buried in London. After his death in 1772, some of Swedenborg’s followers established various churches and societies to study and promulgate the mystic’s theories. The Church of the New Jerusalem was founded in England in 1778 and in the United States in 1792. The Swedenborg Society was established in 1810 to publish translations of Swedenborg’s books, create libraries, and sponsor study and lecture. Spiritualists embraced Swedenborg’s concept of the spirit’s survival after death and the possibility of communication with spirits. As did Swedenborg, they rejected Reincarnation. Swedenborg recorded his visionary experiences in 30 volumes in Latin. Of those, Heaven and Hell (1758) describes how souls go to the spiritual world and choose the realm with which they resonate in terms of their earthly interests. It describes societies, cities, life, work, children, and other topics. According to Swedenborg, people, through free will, create their life and eventually choose heaven or hell. Men and women are completely at liberty to pursue lives devoted to love of the divine and charity toward the neighbor or to glorify self-love and evil. By so doing, they make their own heaven or hell. Choices are final. Immediately after death, the soul passes to an intermediary state called the spiritual world or world of the spirits, halfway between Earth and heaven and hell. The spiritual world and the material world are separate and distinct but mirror each other through the law of correspondences. The soul awakens to find itself in an environment similar to the one left behind. This “first state” lasts for a few days. Angels, friends, and relatives greet the newcomer. If a spouse has preceded the newly arrived soul, they may reunite. The first state is followed by the second state, in which the soul enters interior contemplation and judges its true character, which is impossible to hide. One’s secret thoughts and intentions in life are more important than actions, for the soul may have acted falsely to impress others or curry favors for itself. This self-examination prepares the soul to move into its permanent home in heaven or hell. In the first state, evil and good souls are together, but they separate in the second state. Evil souls go on to hell at the end of the second state. Good souls go through a “vastation,” or a purification of spiritual impurities. They then enter the third state, in which they receive instruction for becoming angels in heaven. Swedenborgian hell differs greatly from the eternal fire of damnation propounded by preachers of his day. It is quite a modern place, peopled by those who choose self-love and evil rather than divine love and truth. The Lord casts no one into hell but instead works steadfastly through his angels to save that soul. During life, angels try to replace evil thoughts and intentions with good ones. But those who still embrace evil and falsehood make their own hell after death. Hell’s denizens continue their earthly lives and habits, much as angels do, but with the continual threat of punishment if they exceed acceptable levels of vice and corruption. Retribution is the only restraint on their evil natures. There is no fallen Lucifer or Satan leading them. Lucifer and Satan themselves mean hell, and there is no chief Devil, for all the spirits in hell are former human beings. Because they have chosen malice and darkness, their faces are distorted into monstrous, repulsive shapes. They live in gloom yet appear burned by the fire of their own hatred. They speak with anger and vengefulness, they crave each other’s company, and they shrink back in loathing and pain from the approach of an angel. The constant clash of their falsehoods and senses produces a sound like the gnashing of teeth. The openings, or “gates,” of hell are numerous and everywhere but only visible to those spirits who have chosen that path. Inside, hell resembles cavernous, bestial lairs, with tumbledown homes and cities, brothels, filth, and excrement. Other hells may be barren deserts. Swedenborg had conversations with evil spirits. Once, a man and woman were given permission to go to heaven from hell. The woman was a siren who served as the man’s concubine. That man said that in his hell nature was their God, and religion was only a toy for the lower class. He dismissed angels and heaven as having no significance. On another occasion, Swedenborg was told by devils that they cannot avoid bothering people, and they become enraged when they see angels. In any of these afterlife worlds, time does not exist as it does on Earth. It is measured by changes of one’s interior state. Space also is different; spirits of like mind are “near” each other whatever their actual “location.” Swedenborg places responsibility for the permanent state of the soul squarely upon the individual and not on a judging God or a redeeming savior. The road to heaven or hell begins early in life with thoughts and intentions. Ultimately, each soul is true to its own nature. – Lachman, Gary. “Heavens and Hells: The Inner Worlds of Emanuel Swedenborg.” Gnosis no. 36 (Summer 1995): 44–49. – Swedenborg, Emanuel. Heaven and Hell. Translated by George F. Dole. New York: Swedenborg Foundation, 1976.